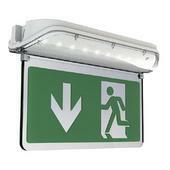 A compact high-performance IP65 polycarbonate surface emergency luminaire with self-test as standard. 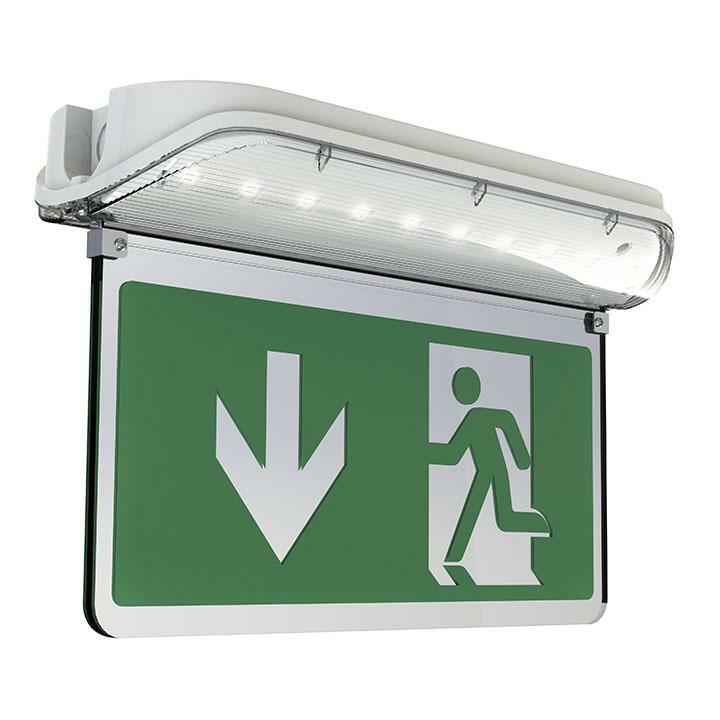 Aesthetically designed for modern appearance, high output LED performance and distribution allow maximum spacing providing reduced cost. Viewing distance 25 metres, Supplied c/w Self-adhesive Legend, optional 25-metre viewing distance blade legends can be ordered separately from the drop down menu above.